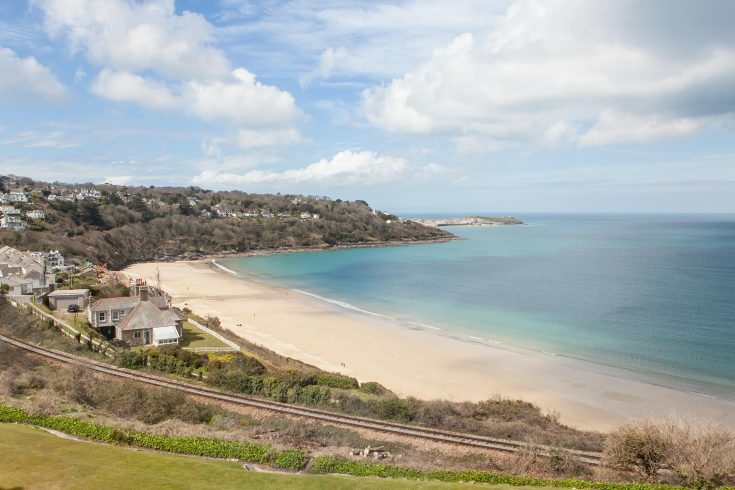 Recently renovated 19th century cottage with views of sea, sky and ancient field patterns. 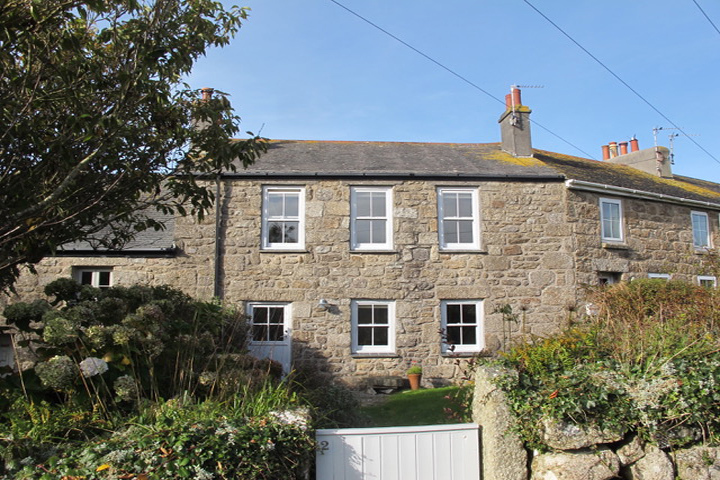 Located in quiet, picturesque village of Zennor, 2 min walk to Tinners Arms, direct access to SW Coastal Path, 5 min drive to Gurnards Head. 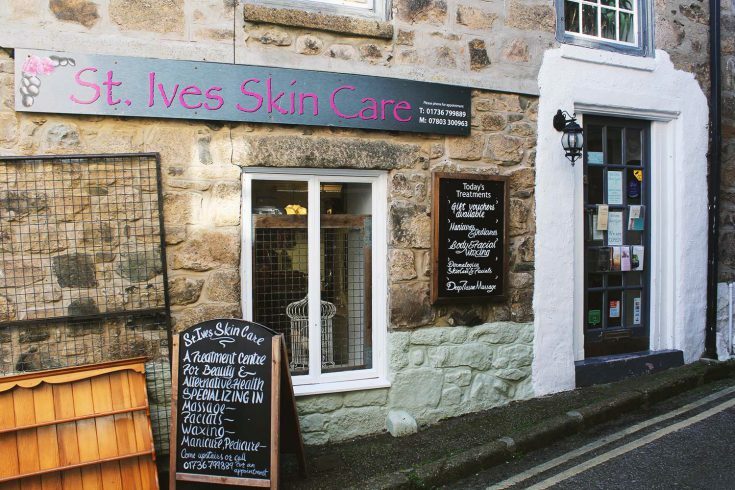 St.Ives 10 min drive, scenic walk or bus. 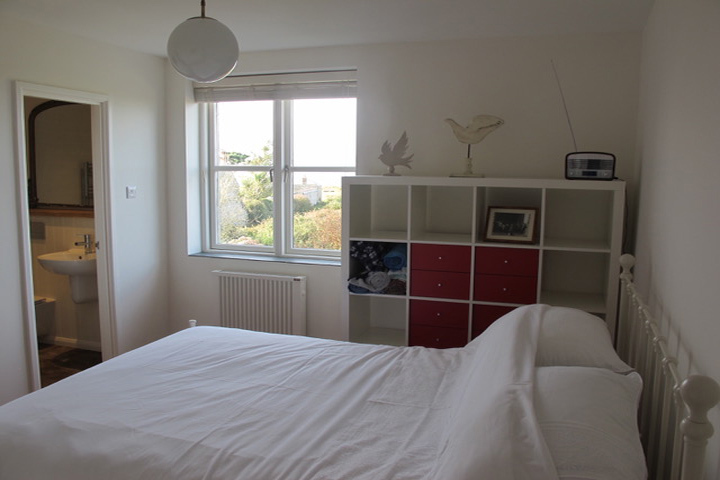 Light airy room with views across fields to the sea and ensuite with spacious powerful shower and heated towel rail. Free WiFi, radio and a variety of teas, ground coffee and h/made biscuits. 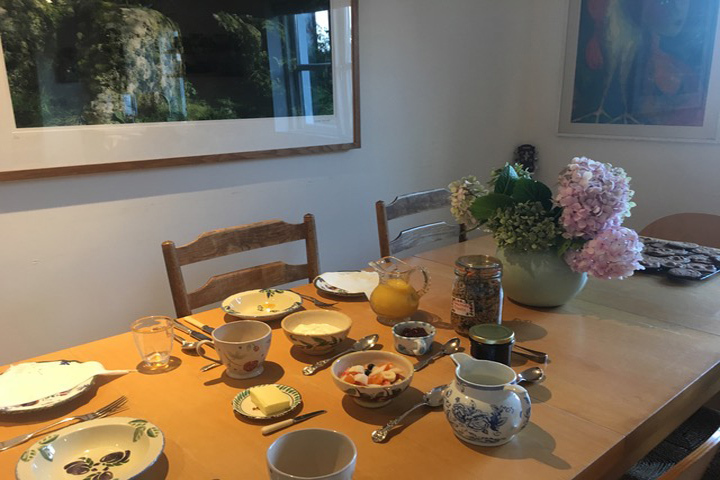 Breakfast – homemade granola with fresh fruit and organic yogurt, f/r eggs from a local farm, proper bacon, artisan breads, homemade jams and marmalades. Arrival times are flexible and can be arranged before arrival. Departure time is 11am unless otherwise arranged. 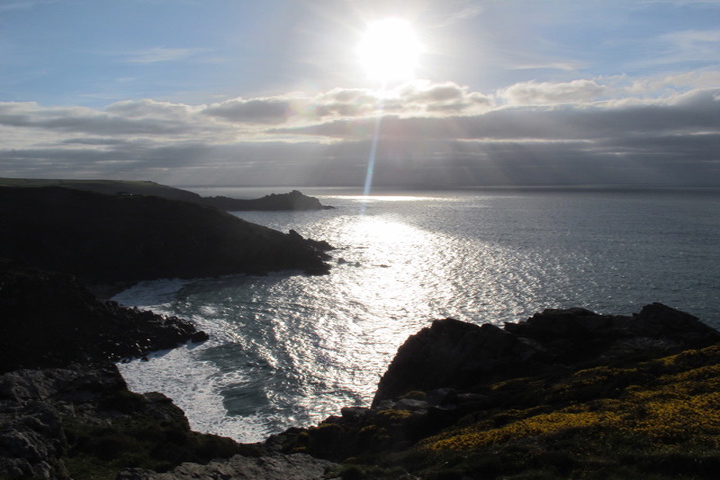 Directions – Take the B3306 from St.Ives to Zennor. Drive into the village and turn right at the Tinners Arms (church on right). 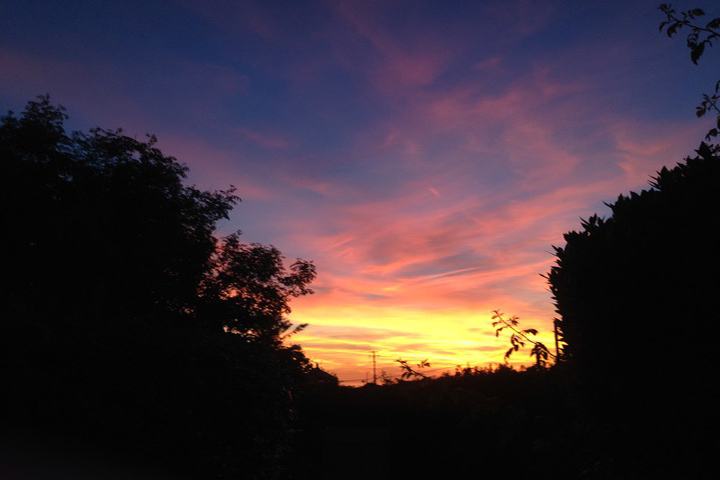 Drive up towards the vicarage and village hall and then veer right and stop outside the second house – 2 Post Office Row. 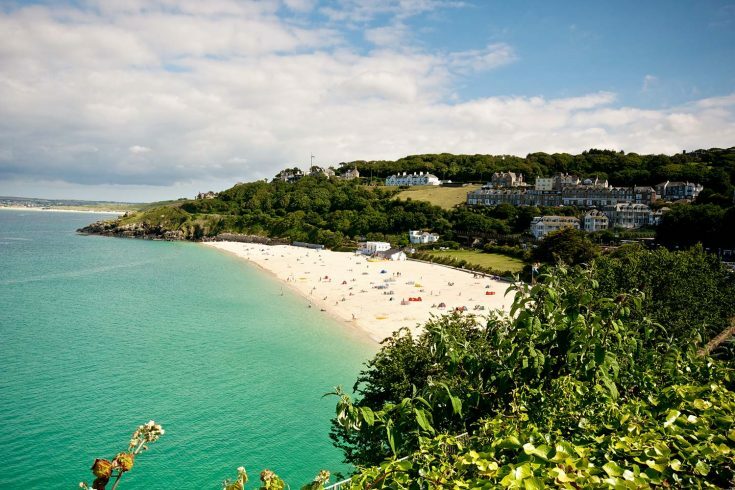 Alternatively there are buses that run from St.Ives to Lands End which stop at Zennor. Access is through a garden gate and along an uneven path. There are fairly steep stairs to the first floor where the bedroom is located.